As a Licensed Real Estate Agent, William DiOrio believes the public should stay informed, especially when it comes to real estate finances. As a former USAF Veteran, William believes in honesty, integrity and nothing less than excellence. As a husband, father and resident of Brevard County, William believes in staying involved in the community. Combined, these give William the quintessential skills of being an exceptional, and unrivaled, real estate agent, one dedicated to giving his clients the best customer service and real estate experience. William built a successful International Satellite Communications Field Service organization over the past 20+ years. He believes his executive level business management skills & experience, such as contract negotiations, customer relations, business development, and project management, have translated perfectly into the Real Estate market. “The essential business skills I’ve acquired over the years have made me a more-rounded, more-experienced, more-qualified and more-valuable representative for my clients,” he says. “I pride myself on my negotiation skills, customer relationships, and outward communications. I believe that the public should stay informed, especially with finances related to real estate. The tools & information that I provide my clients through Mortgage News Daily help teach them to watch for trends in the primary and secondary mortgage markets and understand what drives these markets, which ultimately helps them to make informed financial decisions, understanding that timing is everything." Having lived on the Space Coast, in Melbourne Beach and Indialantic, since 1992, William knows the area intimately. 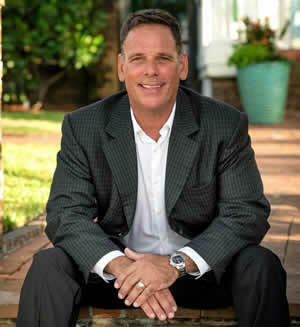 Considered a Real Estate Specialist in the community, William has personally experienced the area's growth over the past 25 years from an extremely up-close and personal perspective. His knowledge of the neighborhoods, beaches and area amenities gives him an advantage when searching homes for his customers. William is an active member of the community, involved in US Soccer Federation (USSF), National E & F Licensed Youth Soccer Trainer, Certified NSCAA Level I (Stages 1-5) Youth Soccer Trainer, Indialantic Youth Soccer League Sponsor and Satellite Beach Impact Soccer Club Sponsor. His children all attended local schools and the entire family has been very active supporting school functions, athletic programs, and community events. Contact William DiOrio at wdiorio@sorensenrealestate.com or at 321.961.7961. He can also be reached at the company’s office located at 436 5th Avenue, Indialantic, FL. 32903.